I cleaned up the old guns and bayonets and then called a fellow I had met at some shows who buys and sells WWII items. After swapping emails and pictures we agreed on a price for all of the WWII items and told him that I would deliver them at an upcoming show. inscribed in block letters and set in a rectangle with a red back- ground. First I cleaned, polished and sharpened the blade. It isn’t perfect but it looks good. The grip is made of stacked, leather washers with red and black colored fiber and nickel silver spacers at the top and bottom. The pommel is aluminum and the half guard is nickel silver. A little bit of light sanding removed most of the nicks from the leather washers. Saddle soap and a good buffing with some canvas and Flitz gave the leather and spacers a nice sheen. A coat of Renaissance wax and the old knife looked pretty dang good. Some saddle soap and gentle scrubbing did the trick on the sheath. Another coat of Renaissance wax gave the sheath a pleasing sheen. All of this was accomplished over several evenings from my recliner while watching TV. Not a bad way to end the day. The Remington knife has RH32 marked on the 4 ½ inch blade just above the guard and on the other side is the underlined Remington logo over DuPont in a circle. According to Rich Shepler, these knives with DuPont markings were made from 1933 to 1940. It wasn’t uncommon for soldiers and sailors to bring knives with them when they entered the service during WWII. Some bought the knives new; others just brought along their old hunting knives. A look through D.Y. 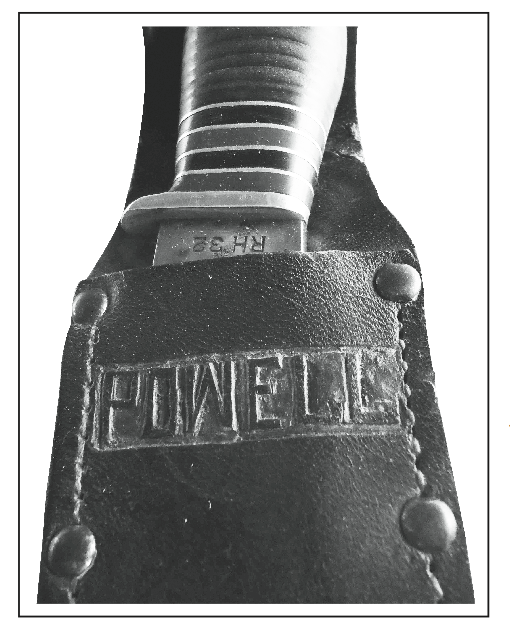 Grimm’s book: Identification Guide to Remington Sheath Knives – 1925 to 1940 told me that the RH32 knife was introduced in 1925, and discontinued in 1940. Each year since I got the knife I’ve taken it with me deer hunting and have used it to skin at least one deer each year. It has become my lucky knife. According to the man I got the knife from, Mr. Powell passed away many years ago. Wherever he is, I hope he’s happy knowing his knife is being used and cared for and will be passed along when I’m through with it. It’s my tribute to an old soldier. A collectible doesn’t have to be high end, rare, or expensive to be worth having. 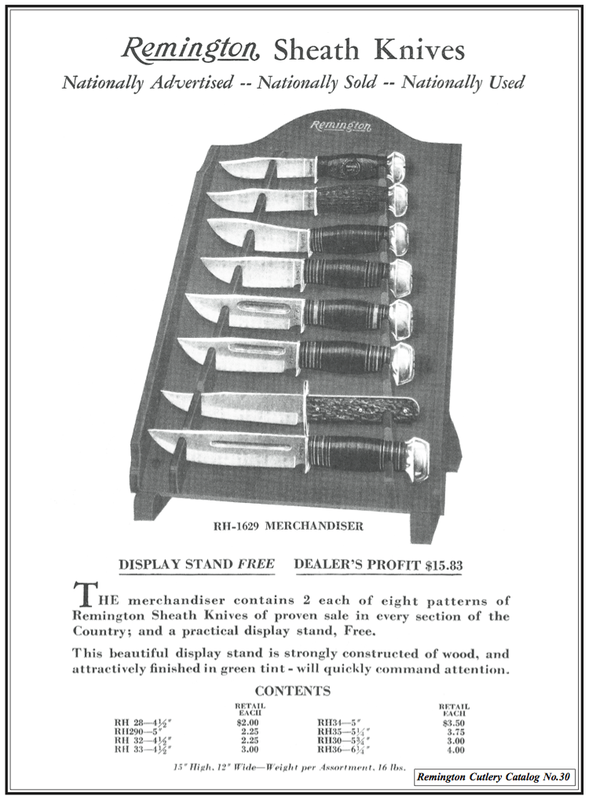 Heck, they probably made thousands of these knives from 1933 to 1940; they’re still fairly common today. If it gives you personal pleasure, then it’s worth having and preserving. 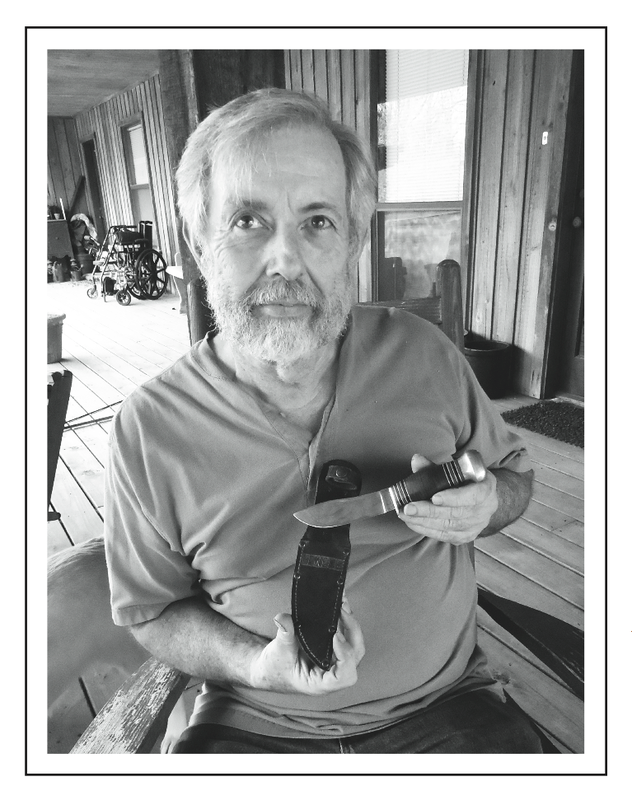 I encourage each reader to share his stories and collectibles with the rest of us. We’d enjoy reading the story and seeing the pictures.